Our Class Teachers are Mrs Butler and Miss Casimo and our Assistant Teacher is Mr Myers. We are also lucky to have lots of extra support from Mrs Willis. Our Patron Saint in Year Four is Saint Andrew. We celebrate his Feast day on November 30th. On this day the Year Four children are allowed to wear their own clothes. R.E. is our most important subject and is at the core of our curriculum. We do 2 hours of RE every week, a child led liturgy every week and four other sessions of collective worship including Mass or celebration every Thursday. Please look at the R.E. dates to see the dates of Mass and celebration for the term. This term Year 4 will be doing P.E on a Wednesday and Friday. Please ensure the correct kit is provided. Full P.E. kit includes: a white T-shirt, blue/black shorts or tracksuit bottoms and trainers for outdoor use. The children that are going swimming this term will be going every Friday morning. The children that are going swimming this term will need their swimming kit and a towel. Each term we prepare at least 4 pieces of assessed writing. These are a mixture of fiction and non-fiction such as stories, letters, leaflets and many more. The children have regular grammar lessons, handwriting sessions and and a weekly spelling test which takes place every Friday morning. The children have a reading record and we ask them and parents to sign it so that we can monitor their reading. In addition we have Guided Reading in smaller groups every week and those children who require extra support have extra sessions. Each half term your child will receive a Homework letter with details of extra activities to further their learning. 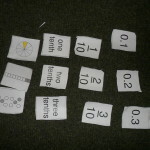 We also expect the children to read to an adult every night and practise their times tables. On Friday afternoons we have Cool Time (Continuing Our Own Learning) and on Monday afternoons we have Rotation activities which are great fun. Cool Time activities include Maths games and investigations, word games, extending our comprehension skills through reading and drama, learning new craft skills and developing those we already know, science investigations and extending our learning about our class topic. We are able to choose which activities we do and we really enjoy setting ourselves new challenges. In these sessions we take part in many practical activities including Arts and Crafts, Music, ICT, DT and gardening. There are often opportunities to go on a trip too.